Whenever you are issued a ticket in Washington, you have three options. Pay the ticket. This is normally not the best course of action. You are paying the full amount of the ticket and the ticket also goes on your record. Occasionally, this might be a reasonable option if you were cited with a type of ticket that does not go on your record and either hiring an attorney or showing up to court on your own is not worth it. Mitigation. This means you are admitting to violating the statute but you have an excuse. The result is the ticket still goes on your record but normally the judge will lower the fine amount a little to a lot depending on your record, the type of ticket, and the excuse. Again, this is not the best option to take if the ticket going on your record is a moving violation. If it is a non-moving, it could be a reasonable option. Contesting the ticket. This means you are fighting it. When you fight the ticket, you are not necessarily saying “I didn’t do it.” Instead, you are asking the prosecutor to prove that you did it. There is a big difference. The prosecutor has the burden of proof. If you win the case, the ticket does not go on your record and you do not have to pay a fine. Unfortunately, if you lose, the ticket goes on your record and you have to pay the fine but the end result is just as if you chose option #1 – paying the ticket, in the first place. Often, a defense attorney can split the difference and negotiate with the prosecutor. Depending on the circumstances, a prosecutor may be willing to amend (switch) the moving violation to non-moving violation in exchange for you paying a fine. The benefit is you keep the ticket off of your record. At the end of the day, the number one goal is to keep this ticket off of your record. Moving violations will impact your insurance rates and can cost you hundreds, possibly thousands of dollars in premium increases. Some moving violations can have fines as low as $93 but be careful! That $93 can bloom into a very expensive insurance increase. Whether you received a speeding ticket, an illegal turn ticket, a stop sign violation, or a negligent driving ticket, it is important that you take the ticket seriously. Likewise, whether this is your first ticket in a long time or the fourth in a short period of time, it is a good idea to fight the ticket. It is a lot easier keeping a clean record clean than it is to rehabilitate a bad record. So if you decide to fight it, you then need to decide whether you want to hire an attorney or try to do it yourself. The unfortunate reality is local jurisdictions are realizing now that traffic tickets are a great way to balance their budgets. If you fought a ticket on your own years ago, things have changed since. There is just as much pressure on Judges and prosecutors to get ticket money as there is on officers to write the tickets in the first place. For most people, walking into court and giving the Judge some excuse is not going to keep the ticket off of your record. “I was just going with the flow of traffic”, “My car is old, it can’t go that fast, ” and “the officer must have been confusing me with someone else because I don’t think I was going that fast” are all common excuses that go nowhere. Fighting a traffic ticket is not like an episode of “Law & Order.” Washington State tickets are technically “civil” meaning they are not criminal cases. This is both good and bad. Obviously, no one wants to have a criminal conviction for speeding but the flip side to that coin is the fact that because the case is civil, it is much easier for the court to rule against you. Unlike in a criminal case where the burden of proof is beyond a reasonable doubt (think 99%), the burden is beyond a preponderance of the evidence (think 50.001%.) Additionally, officers do not have to appear at your hearing unless you subpoena him/her. Instead, officers will submit a report that the Judge will then read to determine whether you violated the statute. Kind of difficult to ask a report questions, right? An experienced traffic attorney knows the different courts, prosecutors, and Judges. 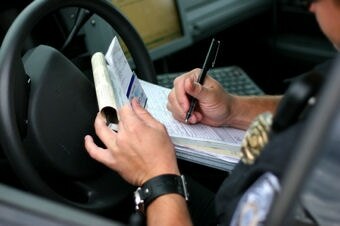 They will be able to review the police reports and determine the best course of action with your case. But you do not want to hire the attorney after the damage has already been done to your record. If you try to fight the ticket yourself and then lose, it is very difficult for an attorney to then after the fact try to fix the situation. By fighting the ticket yourself, you just closed off many options/arguments the attorney could have used to keep the ticket off of your record. Instead, you need to contact an experienced traffic attorney as soon as you get the ticket so they can begin to prepare your defense. Whether you think the officer made a mistake or you made the mistake, the Law Offices of Jason Newcombe are here to help you through this frustrating experience. Contact our office today to discuss your ticket and options.